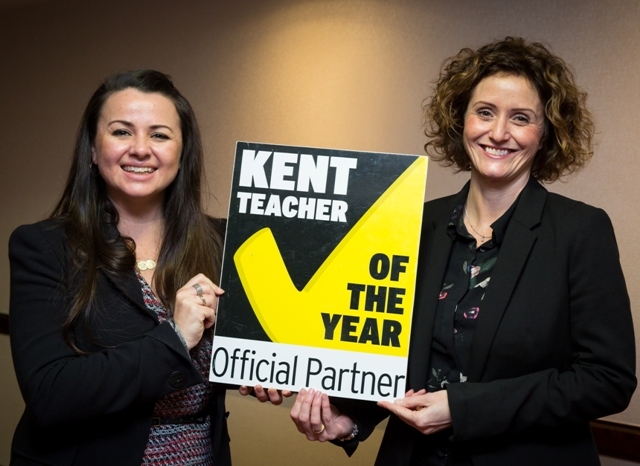 Time is running out for schools to showcase their stellar teaching and support staff by nominating them for a Kent Teacher of the Year Award. Say a big thank you to anyone contributing to the success of a Primary or Secondary school or college across the county - nominate them for a Kent Teacher of the Year Award. But don’t delay, as the deadline for submissions is noon on Friday 1 March. Award nominations are being sought for Primary, Secondary, Newly-Qualified and Further Education teachers. Anyone associated with a school - including staff, parents, and students - can make a nomination until 1 March. A panel of judges will select winners for each local authority area as well as overall county champions. The results will be announced at an awards dinner staged at the Ashford International Hotel in May. Follow stories about Kent Teacher of the Year on Twitter @InspireSchools1 and use the hashtag #KTOTY. Download the support pack enabling your school to promote the awards to parents and pupils.